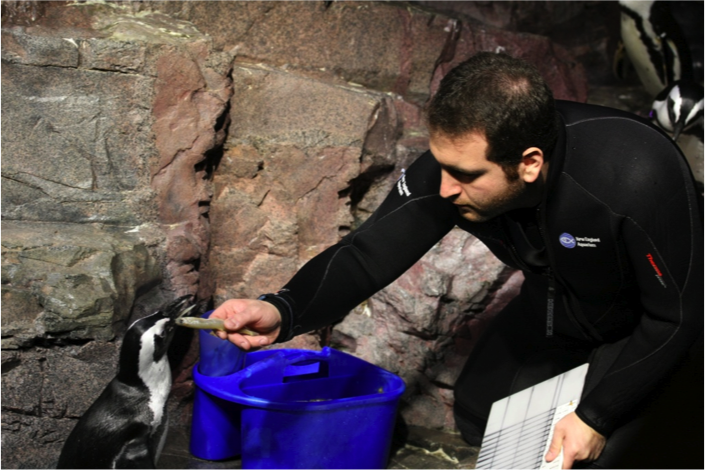 One of our goals at the New England Aquarium is to cultivate the next generation of ocean stewards, and our internship program is designed to help build the next generation of experts in this field. With this important goal in mind, in 2013 we were able to expand our internship program by over 50-percent compared to the previous year. Last year, 129 individuals served over 36,000 hours in our intensive, mentorship based internship program. They came from many different backgrounds—undergraduate students, graduate students, and career changers and brought diverse experience into our institution. But not only did these individuals bring develop valuable skills for their future careers and perform meaningful work through their internships, they achieved one of the arguably most important functions of an internship program: they formed a network by building a supportive community. 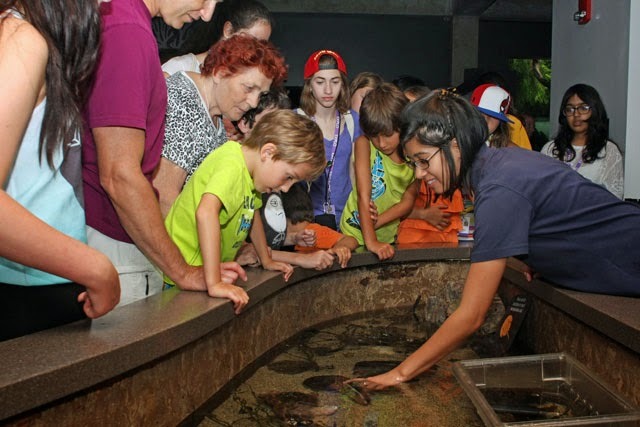 With individuals from across the country serving in departments across the Aquarium from behind the scenes in research and galleries, diving in the Giant Ocean Tank and working with visitors, we wondered…how exactly was this community built? We identified one intern in particular who through a magnetic personality was able to bring interns from across the institution together and asked him to give us an idea of how he did it. Here is the take Sam Mintz (Northern Waters Gallery intern) took on the summer intern community and some strategies he recommends interns use to take advantage of it! Over the 2013 summer cycle, we had almost 60 interns working in different departments, and people can become isolated. We overcame this and quickly developed a strong sense of community and friendship that became unique to our cycle. From the Galleries, Dive, West Wing, Lobster Lab, Whale Watch and Mammals, we connected and spent the whole summer becoming a close knit group of friends. I was big part of establishing this sense of community, and it ended up being the part of my internship I look back on most fondly. Another way to build community in your group is to find out which interns are working on your days, and introduce yourself to them. For example, I first met one of the Lobster Lab interns by chance when I ran up to the lab one morning. I introduced myself and invited him to lunch with my friends in the Galleries and West Wing, and we were inseparable for the rest of the summer! This year we’ll be launching an alumni network to make sure our interns can stay connected and we can keep up with their careers. Interested in joining our community? We will be accepting applications for Fall internships soon. 2014 Sea Turtle Trek success! 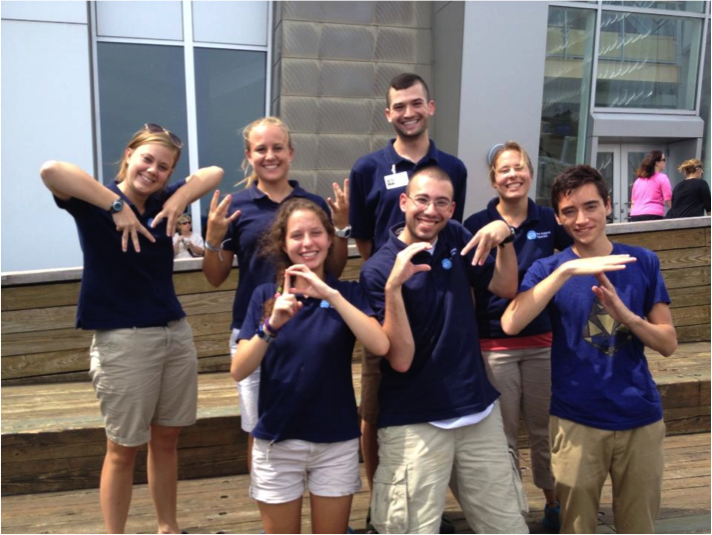 Good luck to the Aquarium marathon team! Circus Discount for the Aquarium community!